When I heard that my friend and yours, Debbie from Debbiedoos, had created her very own line of stencils I had to get in on the action. Let’s face it, I can’t draw. I can’t even draw a stick figure man. Or his stick figure dog. Or his stick figure stick. So stencils are an easy way for someone like me to make something cute without a lot of talent effort. 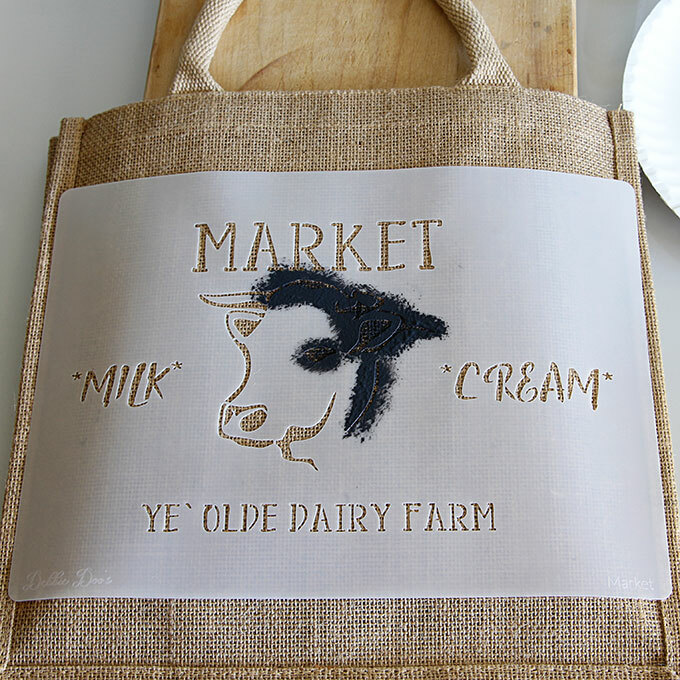 So I decided to try my hand at stenciling a farmhouse market bag. 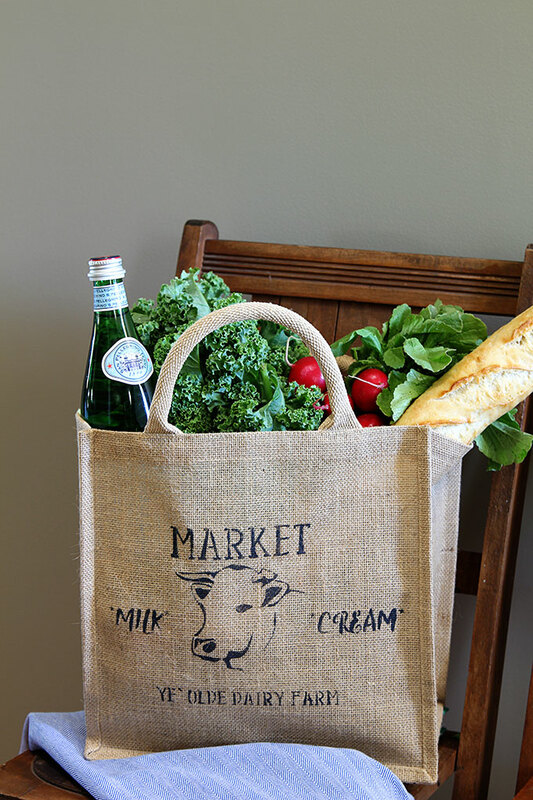 How adorable is this going to look going to the grocery store with me! And get this. 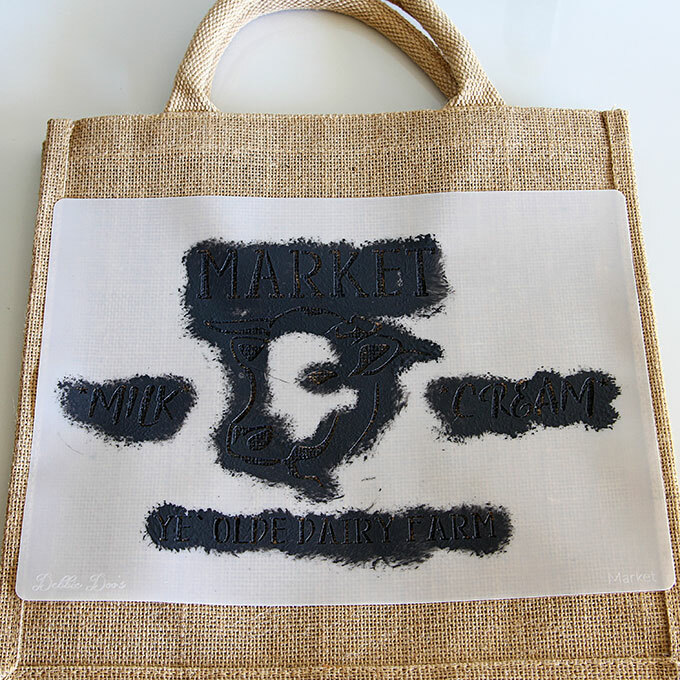 The stencil says “market” and it’s a “market bag”. How clever am I? Obviously, not very. Because I just put THAT whole connection together as I was proof-reading this for you! 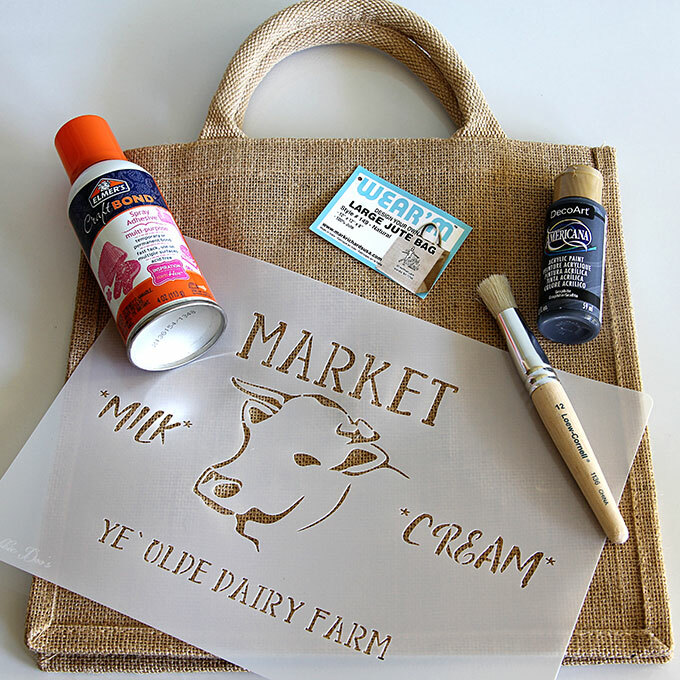 The stencil I chose is the Farmhouse Market Stencil. 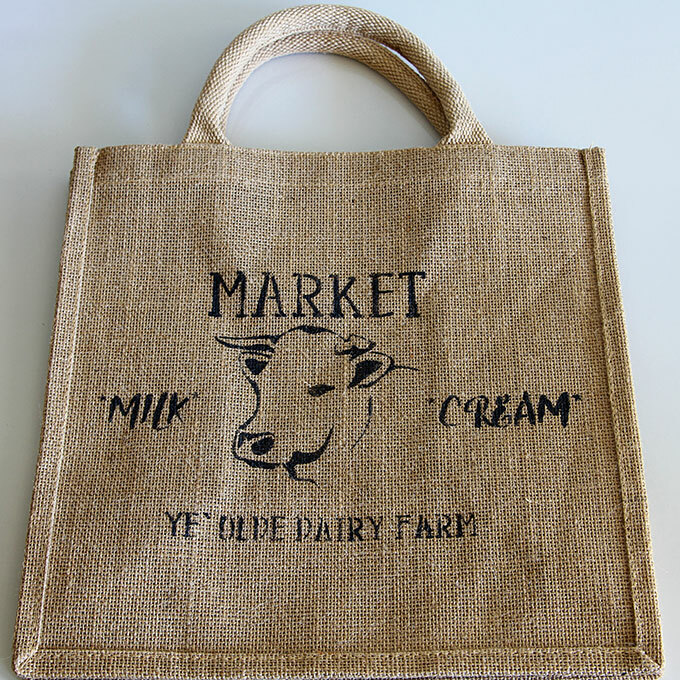 BTW, if you saw my post on Shopping Flea Markets, Festivals and Fairs the other day you may have seen this bag in the post. *If this is an item that you will want to wash, I would suggest using fabric paint. I’m fine with regular craft paint because I will not be washing Elsie the cow anytime soon (or ever, sorry Elsie). So now when someone asks the age old question “Why buy the cow when you can get the milk for free?”, you can reply that you did indeed buy the cow, thank you! Love this! It sure turned out cute. Thanks Shannon! It was fun to make. I haven’t used a stencil in a few years and forgot how easy they were to use! Debbie’s stencils are so pretty! 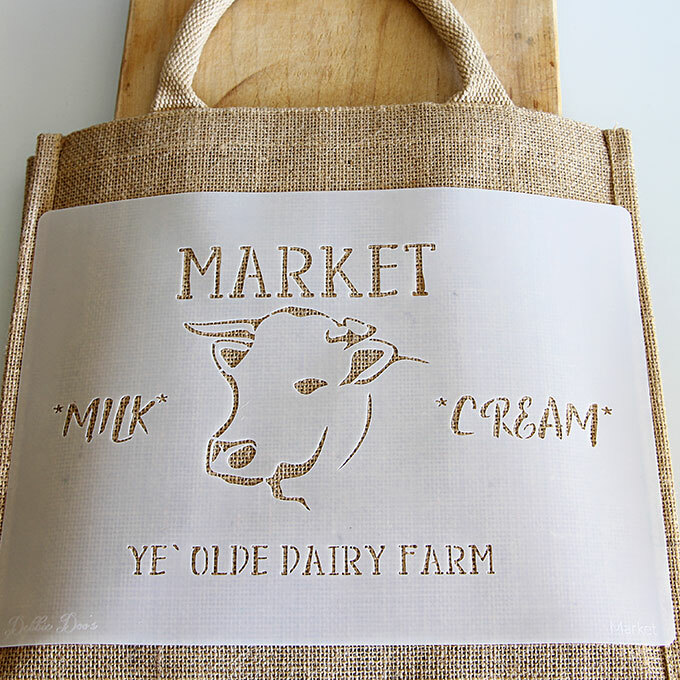 I love how you used this on a market bag…it’s perfect! Thanks, Linda! I’m so proud of Debbie for going after her dream! 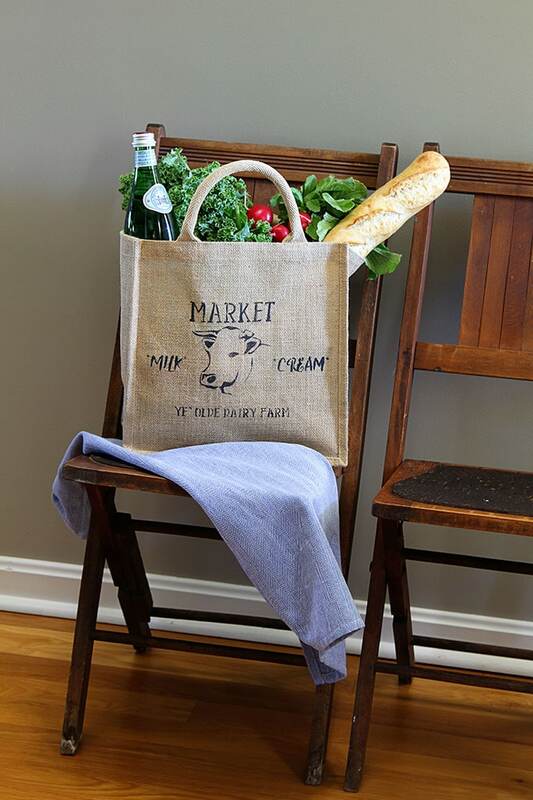 I absolutely love how you stencils a market bag! Clever girl. I’m sure you will get a lot of use of it. Thanks Pam so much for trying out my stencil and writing about it. It means the world to me. I’m so glad you like it! That cow stencil is just the cutest thing. 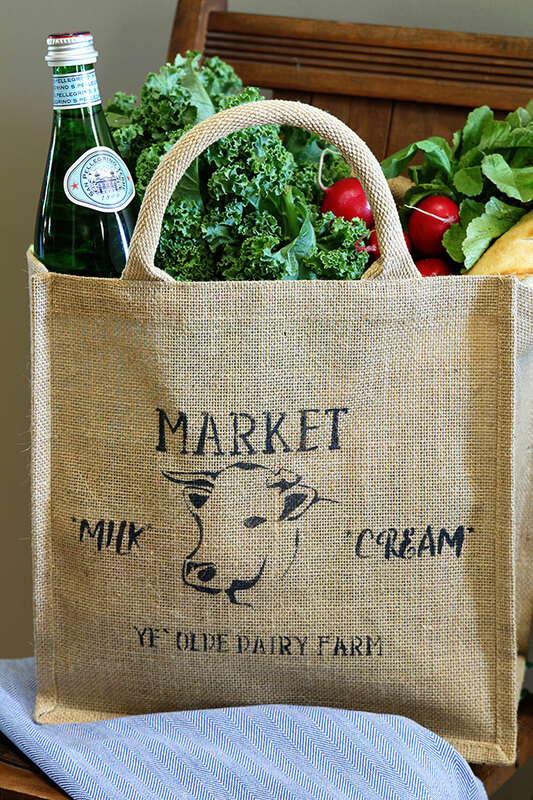 The bag turned out so very cute and professional looking. I could really go for a radish sandwich right now…I’m loving the way you “staged” the fresh looking vegs and that bread! Thank you! I’m oddly picky about the veggies I eat (corn and peas are about it), but I LOVE radishes!!! This is such a cute idea! 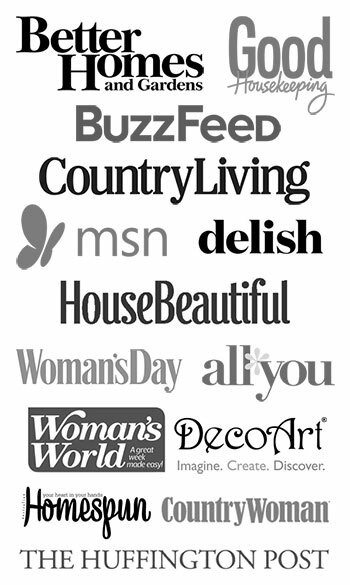 I just saw DebbieDoo’s new stencils a few days ago and that was my favorite one. 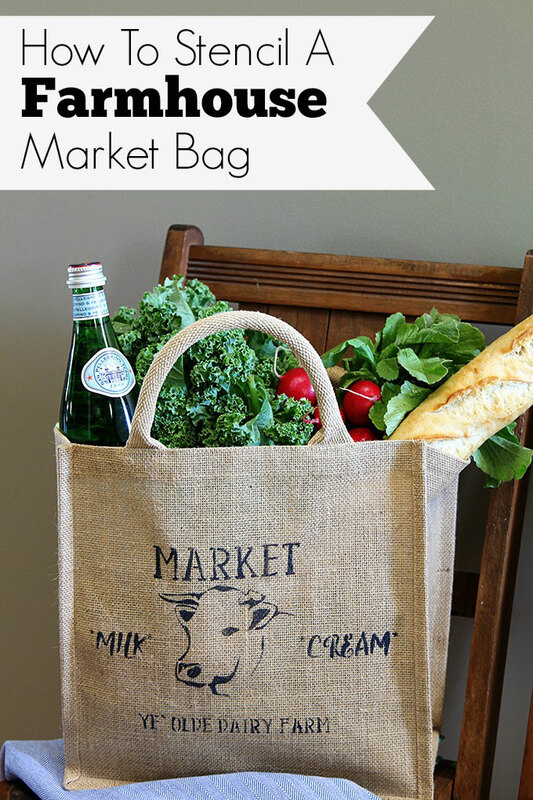 The market bag will come in so handy. I’m going to have to get several of them and order the stencil. I know my daughters will each want one. Thanks for sharing. I look forward to getting a new e-mail from you. I originally went to get one of the canvas bags, but then I saw this one and thought it looked much sturdier. 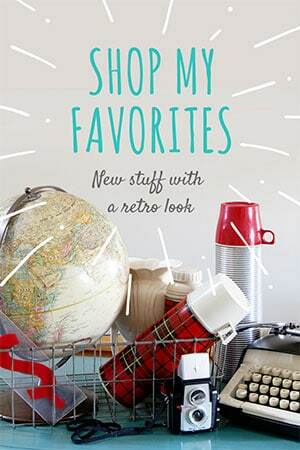 It’s sort of like a tightly woven burlap and it was only $4-something, so you can’t go wrong! That’s so cute Pam. 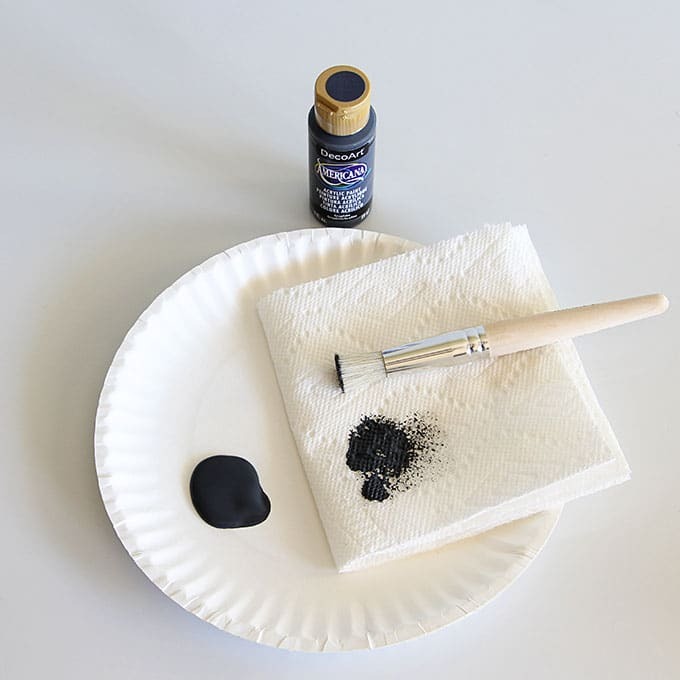 I’m with you…can’t draw worth a flip, but luckily, with stencils, you don’t have to. I really want to try this! My mother would love it, too. And I fully understand what you mean about wishing you had the talent for drawing. I’ve always wanted to be a children’s illustrator working from home, but alas… that talent went to both my brother and sister, and they do nothing at all with it. Figures. Maybe my wish will come true in my next life. Lol!